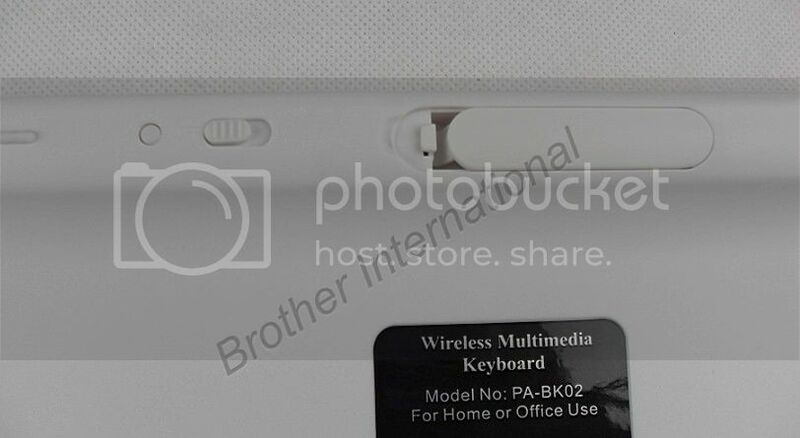 Wireless Bluetooth Keyboard for iPad iPhone HTPC White [Bluetooth Keyboard] - £59.99 : www.laptopkeyboardstore.com - Online Shop of Laptop Keyboard and computer accessories best Laptop Keyboard store. 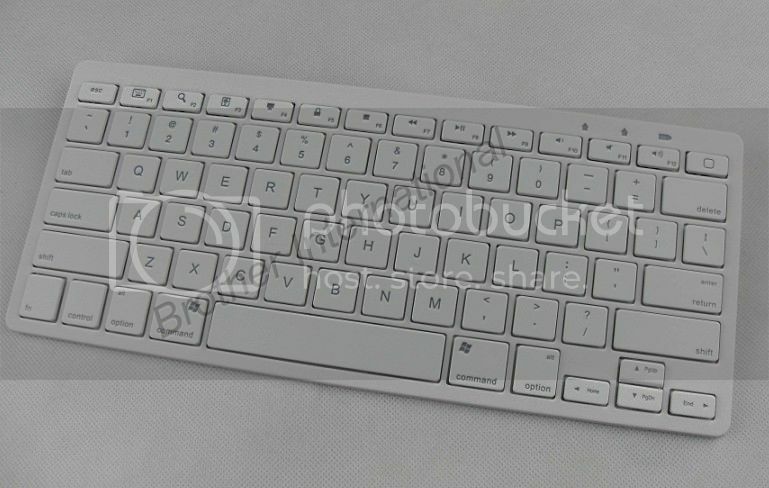 This Ultra-Slim Wireless Bluetooth Keyboard is especially designed for iPad, iPhone 4.0 OS, PC, Smartphone, HTPC. 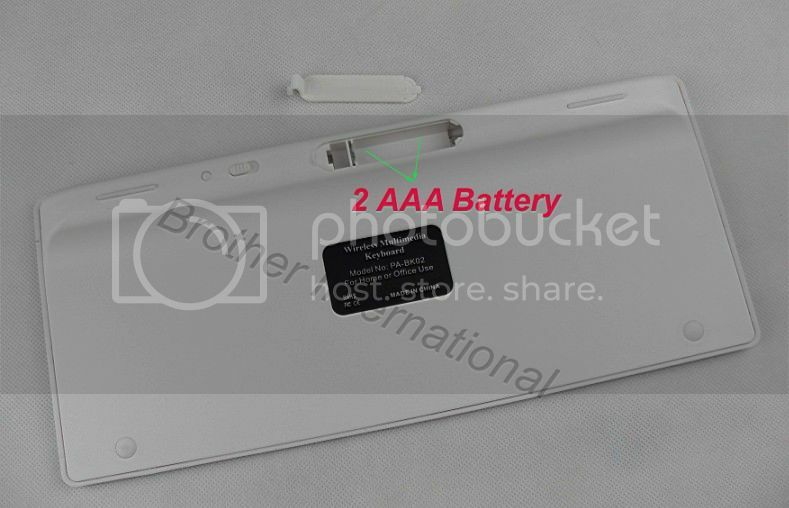 ●Bluetooth Version:Bluetooth V2.0, in Broadcom 2042 chipset. 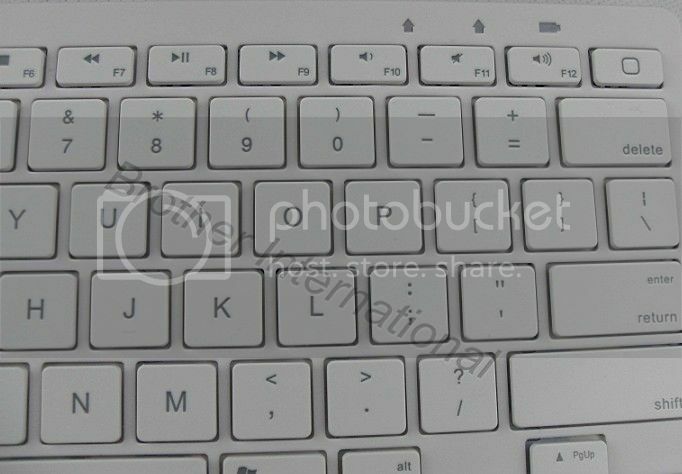 ●78 keys dsign, with 13 muti-function keys. 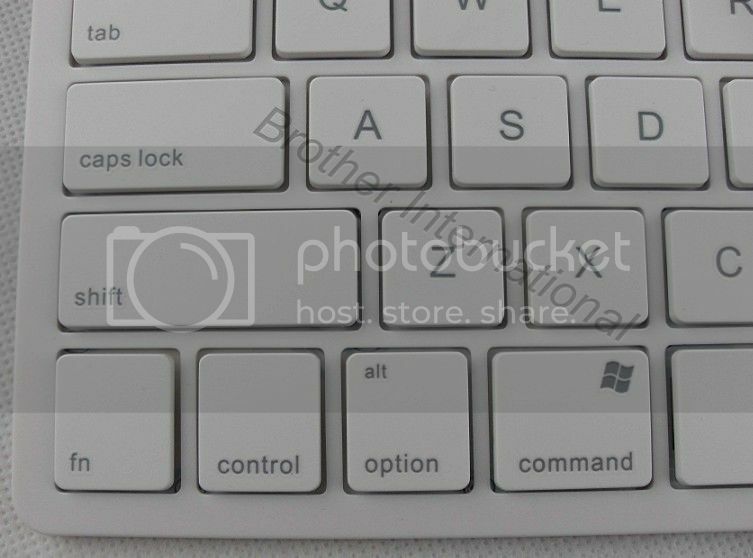 ●Scissor-Switch keyboard provides you with very comfortable and quiet typing experience. 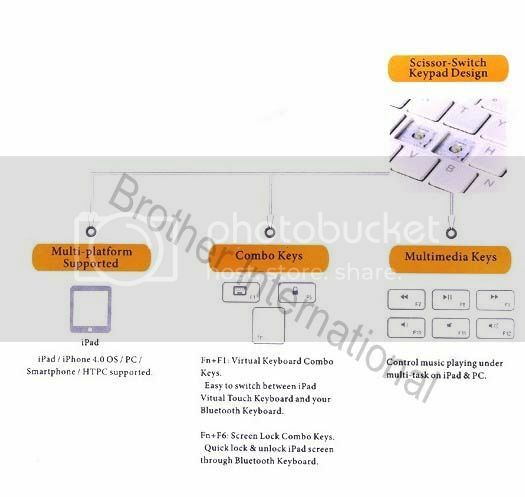 ●Includes multimedia keys that activate iPad features. ●Built-in intelligent power management for power conservation. ●Buit-in software solutions with bluetooth human interface device and comply with the standard version of the bluetooth SIG Bluetooth 2.0. ●With 3 working status indicators. ●Ideal for home and office use. ●Working range: Up to 10m operating distance.